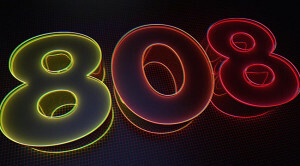 The documentary 808 chronicles how the Roland TR-808 Drum Machine changed the course of music history. Featuring appearances and commentary from Pharrell, Beastie Boys, David Guetta, Phil Collins, Rick Rubin, Lil Jon, Afrika Bambaataa, Questlove, Norman Cook (Fatboy Slim), Diplo, Goldie and others, the film shows how the instrument continued to be discovered and rediscovered by each generation of musicians, whether they played electronic dance music or hip-hop or rock. Producer Alex Noyer recently spoke to us via phone from his Los Angeles home. Talk about what made you want to get involved with a movie about the Roland TR-808 drum machine. First, I was having lunch with Arthur Baker, the music producer, and we were talking about another idea he had for a film. After a while, we decided to start talking about music because we were done with that other topic. 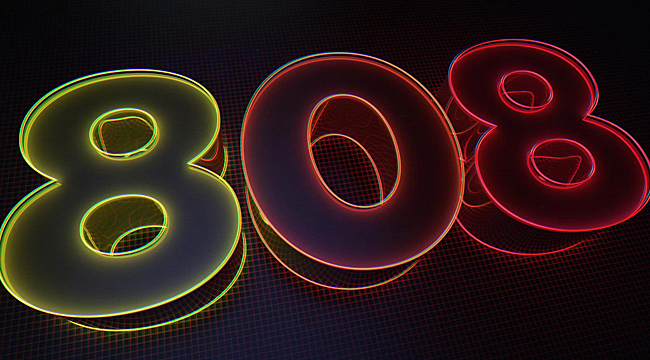 We shared our taste for 808 bass music. I had the lightbulb moment that this would have made a great film. I started to follow up on that idea. I had just finished a project on the New York art scene. 808 sounded like a great idea and I decided to take it on. I went back to the office and talked to Alex Dunn about directing it. He stepped up to the project. Did you have any prior knowledge of the instrument? Funny enough, my technical rock knowledge was pretty limited. I was a pretty bad DJ, but I always had a passion for music with powerful beats. I didn’t know which ones they were in the sense of naming which machine was used. I knew all the music we were talking about, I just didn’t have the technical knowledge behind it. But on the other side of making this film, I can consider myself an 808 geek. I own an 808 and know the subtleties involved with it. Talk how difficult it was to craft a narrative based on the Roland 808. The influence of the 808 is so broad compared to the short life of the machine. It’s quite a big undertaking. We all had different backgrounds and tastes in music. We had Arthur Baker on board and he brought his own experience. Alex used to DJ drum and bass and he had a strong background in that. Luke Bainbridge, who co-wrote the film, came from Manchester so he had the acid house. I grew up in France and had a heavy influence of house music, as well as house music from Chicago, as well as a limitless passion for hip-hop. It turned into an interesting conversation. It sounded like an insurmountable list of things we needed to cover. Trying to put together a storyline was quite tricky. We had to narrow it down to something that fit into 90 minutes. We did 57 interviews and we had so much footage that the first cuts we made were nearly six hours. We had to narrow it down. Of course, we had the privilege of having a meeting in Japan with Roland and they gave us this amazing story that we cannot put in the paper because it’s a big secret. That secret was never told before and that gave us a way to round up the story and gave us a path. Alex did a great job of putting the story together and allowing it to turn into something magical. To tell the story of the Roland TR-808 drum machine through the music that featured its iconic sounds, you talked to a lot of people. What that process was like? Logistically, we were a small and independent production. We didn’t have Atlantic on board until the end. We had to pick destinations where we could go and know artists would be there. We went to Winter Music in Miami in 2012. That was our first shoot and we knew we would get a lot of dance artists. Using Arthur’s reach, we could get a lot of them to talk about it. As it turned out, they were really happy to talk about this. We also came to Los Angeles between the Coachella weekends because we knew some artists would be here. That’s how we got Lil Jon and Pharrell and Hank Shocklee. It was a lot of luck and being at the right place at the right time. There were people we couldn’t get. We couldn’t get Egyptian Lover, who is a lover of the 808. We couldn’t get him because he wasn’t in L.A. when we were there. When it came to selecting, a lot of the interviews have their own merits. It was a question of building the story and finding the statements that built on that story. It’s a hard process to decide to let go of some parts. We had to work on that story and make the tough choices. You had people like the Beastie Boys who steal the show on screen because they are so great. They gave something incredible to the story. The same with Questlove. When we released our first teaser of the film, he was so good and what he said was full of great quotes. People like Hank Shocklee too. A few standout performances for sure. After that, it was about sticking to the story. Arthur Baker produced “Planet Rock,” a seminal track with Afrika Bambaataa in the early ’80s. Talk about his role in making the film. When I came up with the idea, he came on board and joined as a producer and he managed to contribute with his experience. Above all, he brought many of the artists we got. That was amazing. His address book is quite full. We managed to get Phil Collins through another colleague and Atlantic brought the Beastie Boys but reaching Pharrell and Hank Shocklee and all that came through Arthur. That’s a big contribution. I was surprised how the instrument continued to re-emerge throughout the decades. Why do you think it never lost popularity? Because the sound is so peculiar. It didn’t sound like a drum. Not sounding like a drum made it sound like an 808 and that made it a signature sound. This machine didn’t do what it was supposed to do in a beautiful way. It turned out to make this weird sound that was otherworldly. It made people feel like they were a step closer to Kraftwerk, even though Kraftwerk didn’t use the 808. Being so unique, that sound doesn’t age. It can constantly be used by the artist. That’s what hip-hop has a tendency to use in so many ways—either messing with it or using it in its pure form. It’s such a cool sound. Are the instruments hard to find? I think they only made 12,000. They go for a hefty price on eBay. I saw one, an original 808 still in the box going for $10,000 the other day. That was a Japanese original in the box. This is insane. You look around and they go for between three and five thousand dollars. Luckily, when I bought mine it was a lot cheaper. Is the film soundtrack readily available? It will be. It’s not out yet but we’ll have a big soundtrack with tracks from the movies and some remixes and some surprises. We look forward to making that part of the experience. It’s not just a film. When you make a film like this, you can’t limit yourself to what’s on screen. I describe it as a cultural movement. It’s an everlasting experience and we want to expand the experience. Working with Atlantic on the soundtrack, they added a Lil Wayne track and it became this bigger undertaking and satisfying. Ultimately, what do you hope people take from the movie? We didn’t want to make it too technical. We didn’t want to lose the audience. If we look at the people who made the film, we are all related to the music industry. Luke is a music journalist. Alex is a huge music fan and DJ. I’m a huge music fan and though I did DJ in various places around the world I never said I was very good at it. It was about what I played rather than how I played it. I’m a beat head. In that way, we made the film for all those things. Somebody like me who doesn’t care about the techniques but wants to hear the beats can enjoy the movie. Someone with a music production background will want to see the producers committing to that sound because it might inspire them. The music and sounds that come out of the film are there to inspire. We’re not an encyclopedia. We didn’t put every track that there was. This is a selection that gives you a sense of how broad and big the 808’s influence is.